A new study links disability in a household with food insecurity or insufficient quantities of food for a household. In 2011, according to estimates, close to 15 percent of families found it difficult to meet their daily food needs. The number one reason for this is that these households lack the financial resources to buy sufficient food. Two converging problems exist: the high cost of food as well as low income. A disability may affect an entire family’s ability to purchase food. 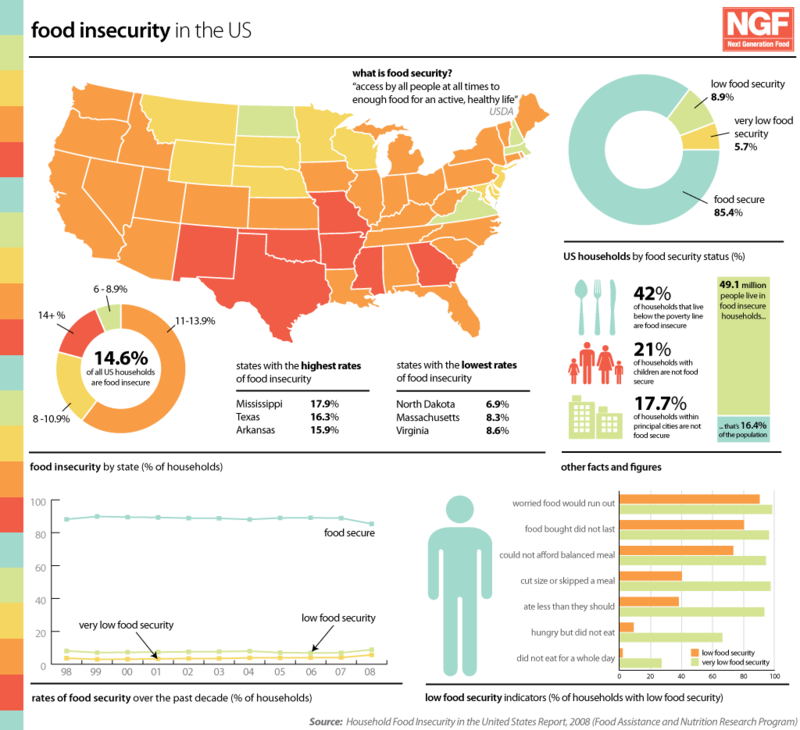 US Department Of Agriculture research indicates that a household that has an adult person who can no longer work because of disability is much more likely to face food insecurity. When a person has a serious disability, it affects not just the disabled person’s ability to earn a living, but also the ability of other members of his or her family’s ability to earn a living as well. For instance, when a person suffers from a serious injury that requires long-term care, he has minimal chance of returning to work, and finding employment again. That means no income. This is a severe financial strain on the family. However, another member of his family, like a spouse or child, may also be required to care for him, and this impacts the family member’s ability to go out and earn a living. Besides the lack of income, these households may also struggle with the expenses associated with a disability. For example, a person who has lost the use of his lower limbs and is paralyzed may need special equipment like a wheelchair to perform his daily routine. Unfortunately, as the chart below shows, many of these homes are in our state of Georgia.